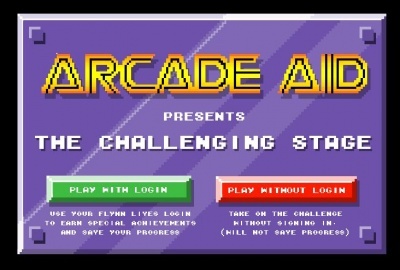 A new puzzle was discovered on the Arcadeaid.com website after being linked from a new discussion thread in the Flynn Lives forums. 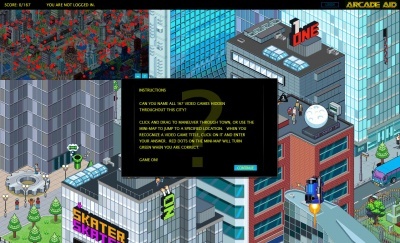 The puzzle page contains a large map including 56 hidden video game titles that have to be located and identified correctly. Badges are awarded to players who've logged in with their Flynnlives.com profile, after correctly guessing 30 games, 40 games, then all 56. Download the full-sized quiz poster from here! 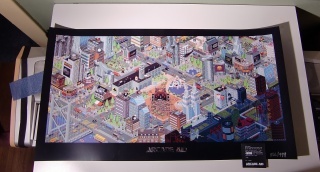 After this puzzle was completed successfully, the player is given a link to http://www.arcadeaid.com/infiltrate. 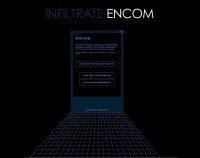 There, they are provided the ability to create an Encom ID badge which can be used to infiltrate Encom International and will be sent by mail (estimated delivery within 2-3 weeks as of Mar 10). Players are also awarded a profile badge for creating this Encom ID badge. The hunt for Kevin Flynn is gaining more momentum than ever before. Our network of operatives is growing and new information is surfacing. Before this year, we knew very little about the inner-workings of Encom International, but you changed all that. We knocked on the big door, used our badges to infiltrate their ranks, and kept the search for Kevin Flynn moving forward. But now, it’s time to step back and regroup. NOTE: If you created a badge and have not received it, please contact unite@flynnlives.com. Include your username, legal name, full mailing address and approximate date of your submission. 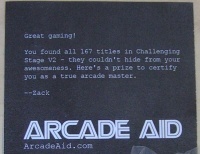 ArcadeAid.com challenge increased to 167 games. Download the FULL-full-sized quiz poster from here! Players who were among the first 999 to name all 167 games also received in the mail a quality printed poster of the entire game board.